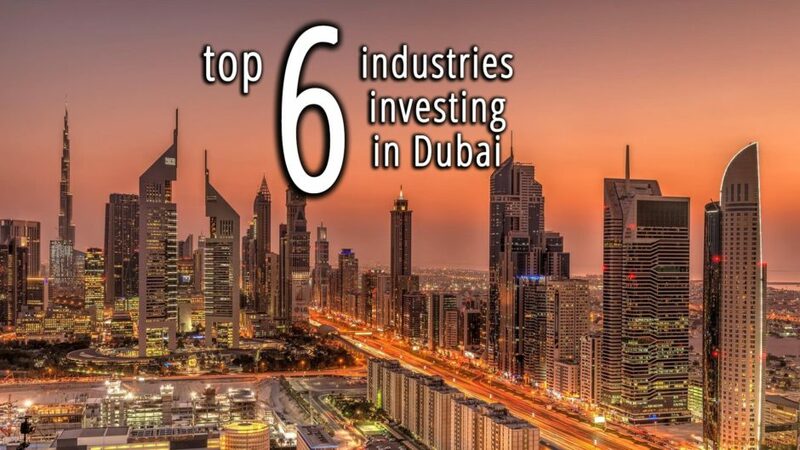 What industries are investing in Dubai to Setup their business? Take a look at what the present and future in Dubai holds for the Top 6 Industries as outlined in the Dubai Industrial Strategy 2030 and where your investment should be focused. Having celebrated its 47th year of union in 2017 and approaching now the 48th, the United Arab Emirates is one of the youngest nations in the Middle East, with an estimated population of 9.4 million, of which a very high proportion are expatriates, estimated +80%, most of which are either business owners with their own setup or employed in a wide range of industries. With its continuous focus on infrastructure development and the visionary leadership of the rulers of the kingdom, Dubai has become an inspiration for countries and nations who aim to be recognized globally and has, undoubtedly, set a benchmark in the international market. Besides its consistent efforts from transitioning of an oil based economy to a global trade hub, more and more industrial setups choose to start a business in Dubai largely due to the fact that the local trading community has become the commercial and Industrial capital of the Middle-East let alone the United Arab Emirates. The UAE government has particular supported industrial business setup in Dubai through the support of Industrial zones across the country that are pivotal to the Dubai Industrial Strategy 2030 to attract foreign investment. With JAFZA (Jebel Ali Free zone) being the leader for industrial company setups in the region along with the Dubai Industrial Park, the strategy will add a crucial factor for the diversification of the post-oil economy in the UAE. On the 25th June this year (2018), His Highness Sheikh Mohammed bin Rashid Al Maktoum, the Vice-President and Prime Minister of the UAE and Ruler of Dubai launched the Dubai Industrial Strategy 2030. This plan was developed by the Government of Dubai to outline the industrial strategy alongside the implementation of the Dubai 2021 Plan. The goal of the strategy is to primarily promote the industrial landscape in Dubai by augmenting the competitiveness of the industrial sector in Dubai. The long term industrial policies under the strategy also focus on fostering innovation and creativity to bridging the sector with research and development centres as well as educational institute enabling strategic industries to setup, develop and ensure sustainability. The unmatchable vision of Dubai’s leader, H.H Sheikh Mohammad Bin Rashid Al Maktoum, Prime minister of UAE and Ruler of Dubai, has created one of the world’s most vibrant city. 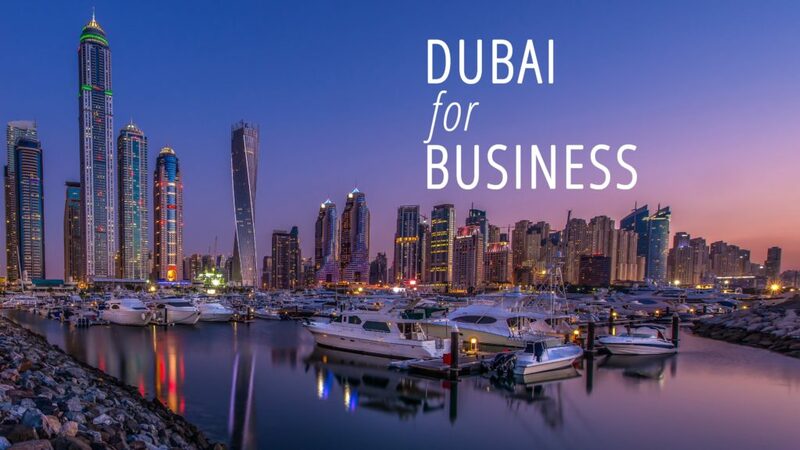 Investors and Entrepreneurs have who reside in UAE or intend to settle in UAE for incorporating their business in Dubai have a cutting edge over other countries because of the exposition, EXPO2020, that is right around the corner and would give the newly incorporated business a hype and a boost start. According to ICAEW, the economy of UAE is expected to grow by 3.8% by 2019, which makes Dubai a wise choice to incorporate your new business of expanding an existing one. Many investors and businessmen have considered Dubai as an ideal platform for their new business or existing business’ expansion is because of the geographical location of the city. The UAE is geographically existing almost equal distance from the East and the West, meaning it is right in the heart of the distance between Europe and Asia, which gives this country a strategically plus-point in terms of trade among these regions, Africa and the Middle East, with a cost that is comparatively lower than trading elsewhere. Many businesses require travelling in an out of the country and to multiple countries and regions, UAE, having renowned international airports, makes flying in the country and from the country to any part of the world is easy. Place Dubai as the world market centre for Islamic Products. As per Dubai Customs Statistics and Dubai Exports, the emirate possesses excellent capability in aircraft MRO (Maintenance, repair and overhaul) and aviation training, both of which have good untapped export potential according to ITC map. According to the ITC Trade Map the total export of all aircraft parts from the UAE accounted for US$ 1.8 Billion in 2016 whereas from Jan- Sep 2017 the total trade parts of engines including related aviation products jumped to AED 46 Billion. The Corresponding exports during the same time span were registered by Dubai Exports at AED 370 Million. The MRO global market is a growing market and is estimated currently at nearly 70 billion US$ with a future CAGAR exceeding 15%. Dubai hosts the annual MRO exhibition in January every year which is a major driver of export from Dubai as potential buyers and solution providers meet on a single platform. The Aircraft maintenance and repair sector has eleven companies out of which four in aviation training and two are in cabinet simulation manufacturing. The top potential markets for Airplane/Helicopter parts exist in Afghanistan, USA, and KSA and for aircraft parts in Germany, USA, Oman, India, and KSA. Dubai is also home to the Dubai Aerospace Enterprise which is a globally recognized aerospace corporation and one of the largest aircraft leasing companies in the world. With Headquarters in Dubai and with over 30 years of experience, DAE’s leasing and engineering divisions serve over 150 customers around the world from seven offices in Dubai, Dublin, Amman, Singapore and the US. Moreover a similar positive outcome is observed in the aviation sector. According to Middle East’s aviation market “IATA”, is it is anticipated that the aviation sector will increase by 5% per year till 2036. Industries in the aerospace and aviation sector that are currently looking to expand their business into the Middle East are looking at the potential to invest in Dubai. The ADAM Market Research Division provides such sectors with the confidence through official NDAs with detailed data reports and scientific methodologies, liaising with authorities as well as channelize partners in this sector to government backed investments and support. According to Dubai Chambers , the maritime industry accounts for a total of 7 per cent of the GDP of Dubai and valued at USD 7.3 Billion and increase almost 100 % as compared to 2015 with shipping, in particular, contributing to the largest share in maritime GDP followed by maritime engineering, port operations and support services. As of now, there are over 5,500 company registered in Dubai engaged in around 13,000 business activities in the maritime sector. Maritime company in Dubai range from activities including but not limited to container logistics, port services, ship building, dry bulk cargo, maritime engineering and dredging. The Dubai Maritime Vision 2030 is a result of analyzing maritime trends globally and possible future opportunities in the sector. Under the vision 2030, the UAE’s aim is to become epic entre of the global maritime industry in the next 10 years. 20 of the world’s leading ports call Dubai their home base. Moreover, Dubai also governs the operation and administration of over 77 ports beyond its borders. What is really in for Maritime Business Investors? According to Experts, maritime investors will be able to see great investment opportunities to setup a company in Dubai in the field of sustainable shipping or transport projects including facilitating the manufacturing of unsoiled marine fuel, advancement of innovation and modernization, maritime financing, channelizing Islamic finance in shipping, physical infrastructure development and cross-border services. It also is becoming increasingly trending to concentrate on integrated solutions boosting the maritime industry grew exponentially. Many E-commerce businesses that setup their company in DAFZA link e-commerce expertise with the logistics supply chain. According to a recent gulf news source, Peter Richards, Group CEO of Gulftainer, operator of the Sharjah Container Terminal at Hamriyah Port (SCT), and the Khorfakkan Container Terminal this shift from focusing purely on sea freight to the entire supply chain is driven by a greater focus on customer needs as well as a search for margin in the door-to-door process, since sea freight is only a fraction of the costs of shipping goods from one point to another. The aluminum industry started with the establishment of Dubai Aluminum Company Limited “Dubai” in 1975. The “Economic Vision 2030” views metal industries, including aluminum, as the engines of future economic growth, which would spur achieving the objectives of the emirate regarding economic diversification. Therefore, the quest for the aluminum industry is a strategic choice towards economic diversification, as the aluminum industry forms the basis for a spectrum of locally, regionally and internationally intermediate and final industries. Moreover, the aluminum industry is deeply interdependent with important economic sectors such as construction, transport and communications, etc. In 1975 the Dubai Aluminum Company, as a company wholly owned by the Government of Dubai. Production began in 1979, followed by commercial production began in 1981 producing 135 thousand metric tons annually. Through deploying additional production lines and subsidiaries for power generation and a well thought strategic expansion plan, Dubai has been able to increase the volume of production by 7 folds. Consequently, “Dubai” smelter now stands as one of the largest modern aluminum smelters in the world. “Dubai” Plant’s main facilities currently include a smelter with a capacity of more than 950 thousand metric tons per year, a 2350 MW power station, a large carbon plant, a 30 million gallons per day water desalination plant, laboratories, port and storage facilities. “Dubai” can produce aluminum in three forms: foundry alloy for automotive applications; extrusion billet for construction, industrial, forging and transportation purposes; and high purity aluminum for the electronics and aerospace. The UAE has contributed to US$ 10.7 billion of investment alone in the UAE out of the total US$ 22.3 billion investment made by the entire Gulf in the Aluminum industry. This figure equates to 48% of the total Gulf investments in this industry. Speaking of the present, numerous companies that work in the mid and end line of final aluminum products in the GCC countries. UAE ranked first in the number of companies representing 13 manufacturing companies out of 27 companies that manufacture aluminum alloy followed by KSA with 7 factories and the Kingdom of Bahrain with 5 plants. UAE is currently focused on encouraging Aluminum manufactures to start their company especially in the finished aluminum product side. The pharmaceutical industry in Dubai is anticipated to have foreign direct investments valued at US$2.5 billion flowing in over the next 5 years. This industry is focused of introducing international key market players to setup their factories in Dubai marking a new entry into the region as compared to the expansion of existing ones. The healthcare sector in particular is also forecasted to represent a total spend 18 % by 2021 with a sales growth to $ 3.84 Billion by 2021 according to BMI research. Marwan Janahi, the chairing member of the pharmaceuticals and medical equipment task force of the Dubai Industrial Strategy, said that out of the total of pharmaceutical companies that are started in the UAE , 90 per cent are imports and 60 per cent of those are generic drugs, presenting ample opportunities for promote local production. Dubai is committed to bring in companies that are primarily into manufacturing of cancer drugs with the facilitation of hospitals, universities and research and development centers. Such initiatives has been proactively seen by Sharjah Research , technology and innovation park (SRTIP) stimulating to startup their innovation and testing center in the field of scientific research. The Sharjah RTI Park is forming an ecosystem to support and promote technological innovation in Sharjah and the ADAM Global Network along with ADAM Global Dubai is supporting this initiative to enable foreign companies of all size and industry that would like to test, innovate and carry out research to open their innovation centers and conduct research activities. The SRTIP is the innovation and research wing of the American university of Sharjah (AUS) with a total student strength of over 45,000 students. According to the GCC Head of GlaxoSmithKline (GSK, UK’s largest drug manufacturer) plans to setup their business operations in Dubai to establish their production facility next year that will boost its sales in the region. As per the Dubai Customs Data, an accumulated 0.3 Billion AED of exports was reported for Medical devices from Dubai USA (26%) and KSA (23%) being top export destinations. Laboratory machines and equipment, instruments and appliances for medical use and medical furniture made up the principal export market. UAE is the fourth largest medical device market in the Middle East and Africa region, size estimated at 3.7 Billion AED for 2016. The Dubai Customs data further revealed that in 2016 alone AED 1.7 Billion worth of re‐exports occurred of Medical Devices from Dubai (according to ITC the figure was around 0.8 Billion AED in 2015) with imports standing at AED 4.1 Billion predicting a great future potential opportunity for local production by Multinational companies. For investors in particular in the local manufacturing market, the medical consumer products and instruments for medical or surgical use as well as medical furniture are promising segments. While for the potential market for companies in Dubai in the Medical Devices field, the Asian market is one of the most promising MEDICAL DEVICES markets for these target products. For investors looking to target the medical devices and consumables segment, the Asia market has the second global rank in the second position after EU. China Malaysia, and India are among the Asian countries that are excellent potential markets with high rewards and lower risk. The Food and Beverage Sector is a major industry contributing to the UAE Economy. This sector include bakeries, Dairy Manufacturers and Distributers, Food Processing and storage companies, Fruits and vegetable processing, Meat processing, Food Distribution and retail , Restaurant setups in Dubai, Spices and condiments, sugar refining and beverage companies. The UAE is continuously showcasing consistent efforts to connect the private and public sector to ensure security, stability, availability and sustainability of food products across the food value chain. Owing the economic diversification and with Tourism being at the forefront of the GDP contribution to the Dubai Economy in particular, the F&B sector has been the direct beneficiary driving the food service market. The GCC F&B market expanded at a CAGR of 10% from 2010 to 2015 reaching a market size of AED $28.9 Bn. The growth will continue to see an expected instant rise during world mega events such as the EXPO 2020 and FIFA World Cup 2022, with GCC and particularly Dubai being the first choice for investors in the sector. It is expected that the market size will increase to AED 34 Billion by 2021. According to Dubai Chambers overview on the F & B Sector in Dubai, the fresh vegetable sector is expected to see sales of AED 6.2 billion of worth alone by the end of 2018 with a forecasted growth to AED 7.4 Billion by 2021. With a trend of focusing toward a healthy lifestyle and consumption of an organic product, there has been an increasing incline towards healthy F & B. This has led to the emergence of new concepts such as organic and gluten-free food and healthy fast food choices such as salads and baked fries. 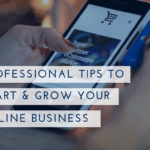 Also, as people become more tech-savvy and begin to value convenience and speed of service, various online food ordering portals have emerged. An inclination towards home-grown brands and a thriving cafe culture are also playing a role in shaping up the F&B market in the GCC. The value of soft drink sales in the country, estimated to reach AED 8.2 billion in 2018, is projected to surge to AED 9.9 billion by 2021, according to a recent forecast from Business Monitor International. Growing demand seen by the UAE’s restaurants and fast food chains is expected to boost sales within this segment to AED 33.2 billion in 2018 and AED 40 billion in 2021. Among the top products expected to see the highest sales growth are bananas, which are forecast to record a compound annual growth rate (CAGR) of 8.8% between 2017 and 2021, followed by canned fruit and fruit-based products, (8.7%) and cabbage (8%). The sale of meat products in the UAE is expected to record a CAGR of 7.4% between 2017 and 2021, followed by vegetables (6.3%), and nuts (5.9%). A CAGR of 11% is forecast for fresh coffee sales in the country over the same period, while green tea, black tea, and instant coffee products are expected to record growth rates of 10.3%, 6.2% and 2.7%, respectively. Mr. Al Hashemi , Vice President of International Relations at Dubai Chamber, noted that more food brands and products, franchises and restaurants are entering the local market, while international manufacturers are increasingly making Dubai an integral part of their expansion strategies. Moreover the top trends according to source from Gulf News in this sector are outlined to be Pop up restaurants, Grocery apps and the incline towards organic food. According to the report issued by Dubai Exports , the Electric Machinery sector is one of the leading manufacturing sector in Dubai , primarily driven by a booming construction sector sharing a value add of 4.3 % . The diversification of this sector includes key market player from the manufacturing of copper cables, wires, switchgears, transformer to distribution panels. The Export of electrical machinery in Dubai has increased from AED 2.4 Billion in 2012 to AED 5.8 Billion in 2017 with re-exports staying stable during this period. China, Iraq and India have are promising export markets for electrical control boards with Oman, Jordan and India being excellent importers of Copper Cables. Moreover, an exponential export ratio for Lamps has been seen in Oman, China and Germany. The export value of these items reached to AED 4.1 Billion in 2017. Some of the key players in this industry include names like Kromberg & Schubert, A.W Rostamani Lumina, Emerson, Dubai Cables, Emirates Transformers and Switchgears, Solar Power Solutions, Al Ghandi Switchgear Industry, Diesel System International, Megatch Control as well as WIKA Middle East among other noteworthy Industrial Giants. Exports will increase to AED 16 Billion. According to Saed Al Awadi, CEO of Dubai Exports the Dubai Industrial Strategy commitment to transform into a global platform for knowledge-based, sustainable and innovative industries , the future trends also will connect the conventional industries to the future of doing business involving topics such as Industrial Internet of things , digital twinning and robotic among others. Since 2002, our Dubai Business Advisors at ADAM Global (Dubai) have continued to maintain the legacy of providing up to date and trusted advise to both foreign and local entrepreneurs including clients from the industrial sector. Our experts and advisors have worked with and advised some of the leading industry players in the region and have played a pivotal role in their business growth. Our client centric business model, in addition to our local expertise and extensive industry knowledge, consistently creates and adds value to our clients. The Company also has been a recipient in multiple awards categories across the domains of corporate advisory & business setup services! It is a part of the world’s largest network of professional networks , ADAM Global (UK) Limited, a British entity of global independent and multi-disciplinary firms. Whether you are an entrepreneur wishing to start your business in UAE, an SME, a wealthy international family, a multinational or an established blue-chip company: our highly sought and trusted advice will ensure you have everything you need to start or expand your business in Dubai. The information above is intended for general information purposes only. The content is based on information available as of the date of preparation of this article and ADAM Global is not responsible for any reliance upon this document by any party for any purpose related to the information contained herein. We express no opinion on, nor give any form of assurances with respect to, any statement, estimates or projections made in this report. No representations are made in this document, including as to the future performance and the accuracy of economic trends or projections. Information contained in this article may be subject to updation, expansion, revision and amendment.